We Are Available for Orders 7 Days a Week, Year Round! Now offering Birthday Parties in the shop! Bring your child and their friends in to decorate their own cupcakes! Ask for details! We can make your day a little sweeter! Cupcake Heaven was born out of a love for cupcakes! The possibilities are endless! 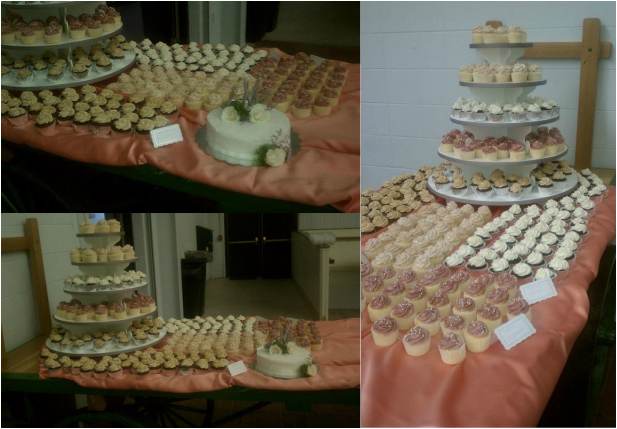 Whether you're wanting to serve cupcakes at your wedding, anniversary, birthday party, family cookout or as dessert for your family dinner...we can accomodate! We have a large variety of flavors. If there's something you're looking for, just ask! If we don't have it, we can work with you to make sure that we're creating exactly what you're looking for! Contact us today to tell us how we can help you! to create your own special cupcake dessert.